Guilford Plastic Surgery | SkinTyte Skin Firming | Beth Collins, M.D. As you age, the skin on nearly all areas of your body because a little looser, a little less luminous. Some people develop wrinkles, while others witness the appearance cellulite and fine lines. If you’re interested in a non-invasive treatment that can correct aging skin on nearly any area of the body, you may want to consider SkinTyte™. Located in Guilford CT, the practice of Beth Collins, M.D. is committed to providing patients with a broad range of sophisticated aesthetic services. For more information about our practice or any of the treatments we offer, request a consultation today. 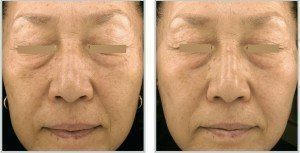 Part of the world-renowned line of Sciton® lasers, SkinTyte™ is a sophisticated skin tightening treatment that harnesses the power of infrared energy and broad based light (BBL) techniques to tone and firm the skin on nearly any area of the body. 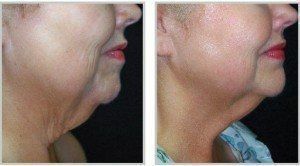 This procedure can be used on all skin types, brings about excellent results, and features virtually no downtime. SkinTyte™ works by delivering a sequence of rapid, gentle pulses of infrared light over the selected treatment area. This light passes through the uppermost layer of the skin and penetrates deep into the dermis. Once the light has entered the dermis, the treatment works in two phases: it first heats collagen in the upper, middle, and deep dermis, and then causes collagen bonds to contract and soft tissue to coagulate. 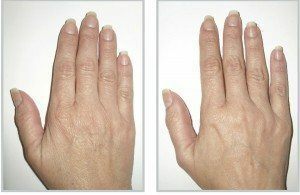 Over time, this leads to collagen remodeling and the toning and tightening of the skin. What are the Benefits of SkinTyte™? SkinTyte™ has a wide variety of unique benefits unmatched by many other skin firming treatments. It can target nearly any area of the body, with the most popular treatment areas including the face, neck, abdomen, knees, thighs, buttocks and arms. Before it used to take several different types of aesthetic treatments to reap all of these benefits: SkinTyte™ provides them in one comprehensive treatment. Because SkinTyte™ can be used on so many different areas of the body, each treatment is different. The amount of time each appointment takes and the amount of appointments necessary depend upon the area being treated. Beth Collins, M.D. is proud to serve patients in the Branford, North Branford, Madison, Killingworth, New Haven, and Guilford areas. Request a Consultation to learn more about SkinTyte™ today!